Hey there, awesome Friends, and welcome to my favorite day of the month: Trash to Treasure Tuesday!! I know I share trash-to-treasures all the time, but on this day I get to bring you four more from my treasure maker friends as well! I am always excited to see what they’ve done. Look for the links to their makeovers at the bottom! It is very petite and I was keeping an eye out for a chair to go with it when I realized I already had the perfect chair in my stash! 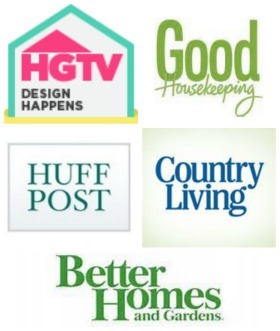 I’ve included a few affiliate links so you can find the products I use! I guess if I was going for the “I left this out in the back yard for a year” look, I totally nailed it. I decided the driftwood look was not the look I wanted after all, but do you know what it was perfect for? A base for the white-wash treatment I give old fence pickets! I started adding white latex, then immediately wiped it off. 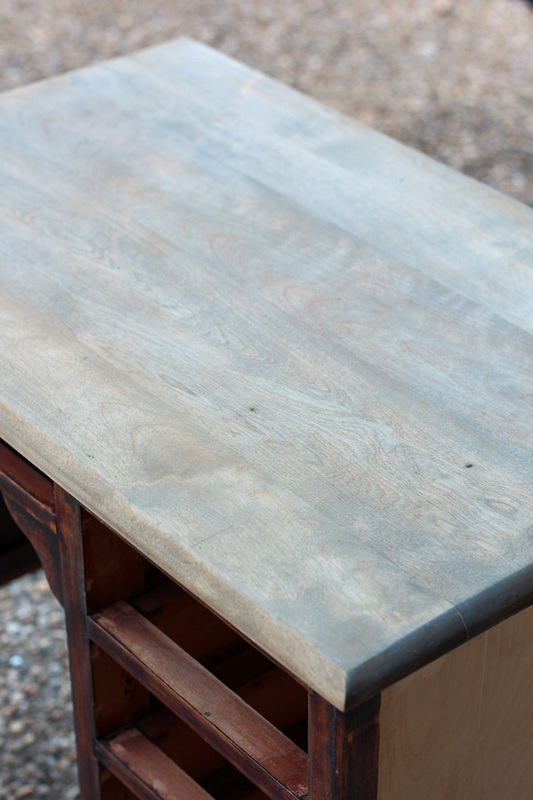 I love that the finished top shows the beautiful wood grain below. Using contact paper is not the easiest method, but I’m cheap and I already had it on hand. If you don’t have a fancy machine…no problem! 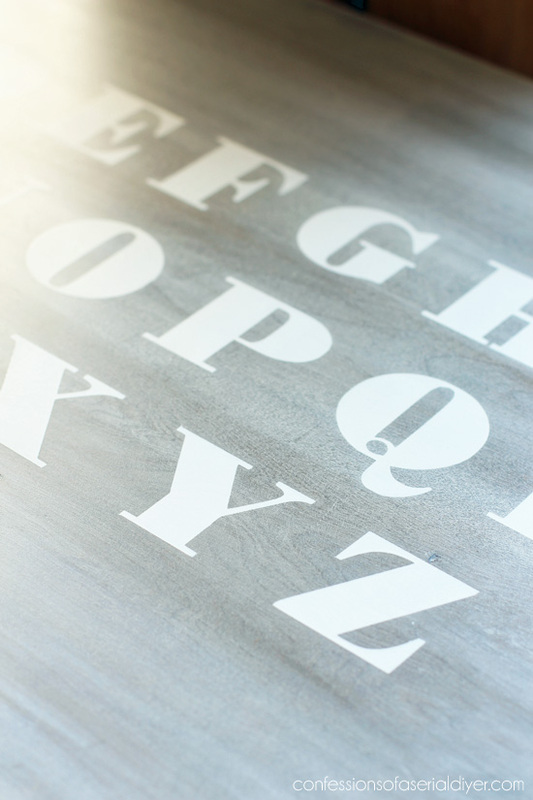 See how to transfer letters old school style HERE. 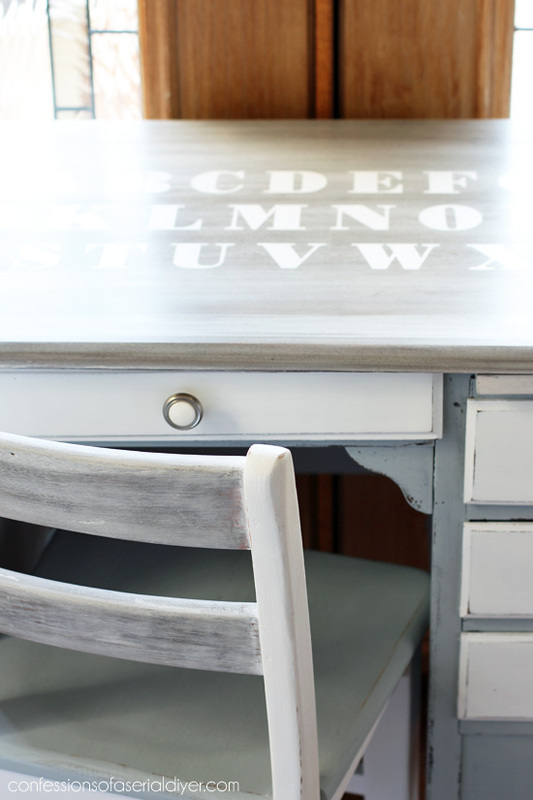 I painted the letters in using two coats of chalk paint in Ultra Pure White. I waited for the paint to dry before removing since I had to remove all the “floating” pieces in the center of some of the letters as well. This tool makes them a breeze to remove. 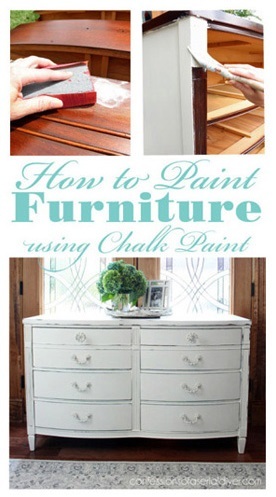 I used Gray Sparrow made into DIY Chalk Paint for the base and the seat of the chair. 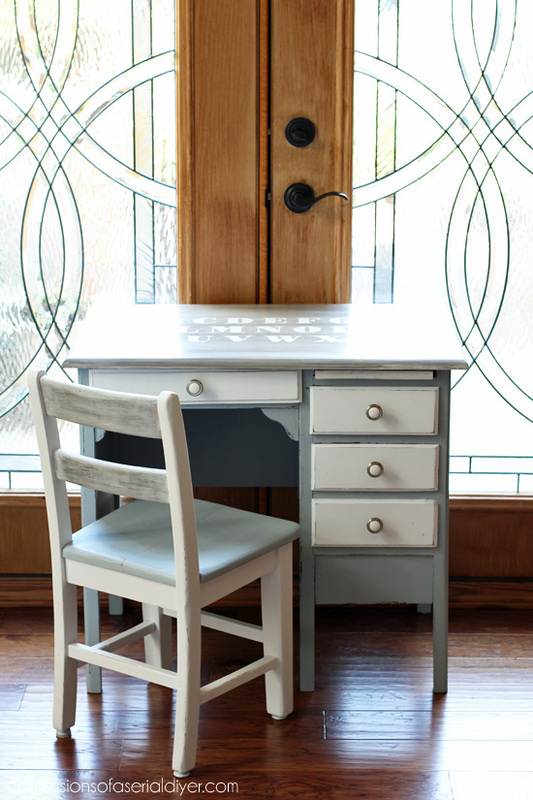 I used Ultra Pure White for the drawers and body of the chair. 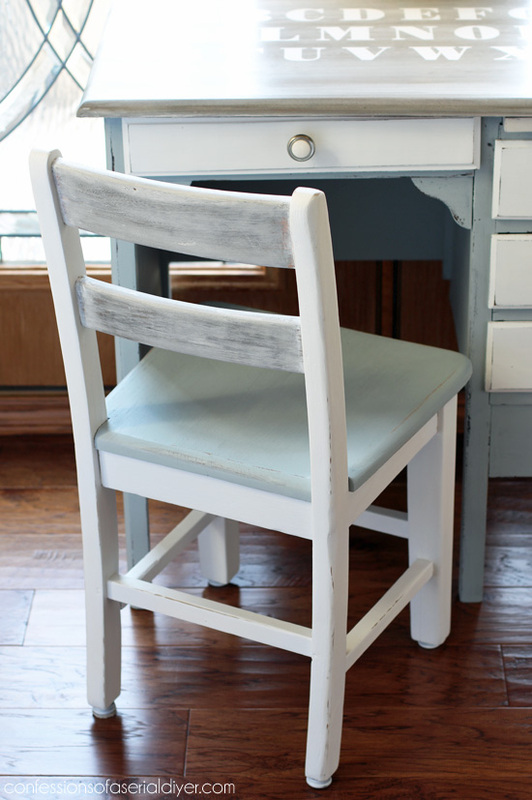 I did the same weathered wood finish on the rungs on the back of the chair. 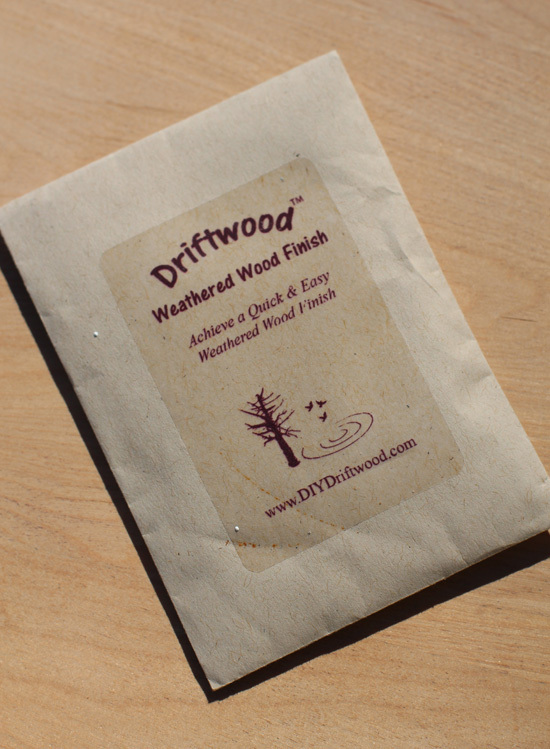 I only mixed half of the packet of Driftwood Finish and it stores for three months, so I am excited to have a way to achieve that weathered wood look on newer wood, for the base of my white-wash finishes! 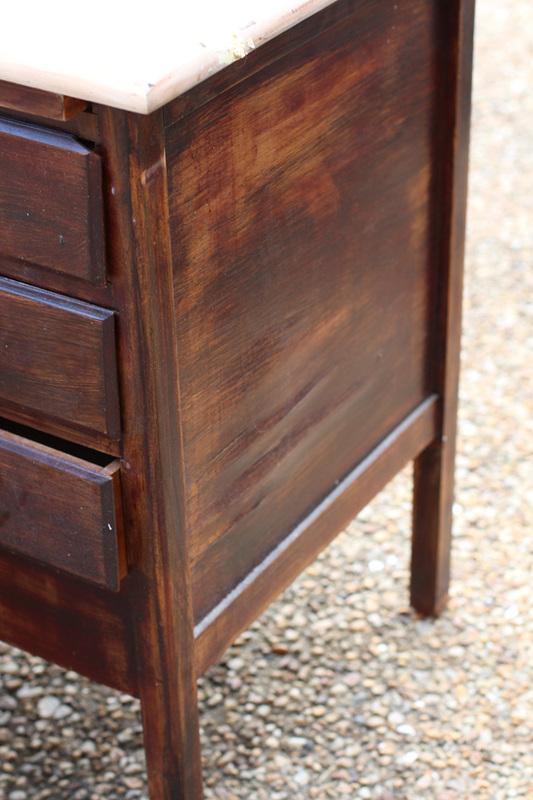 I sealed everything, including the top, with Annie Sloan’s clear soft wax. 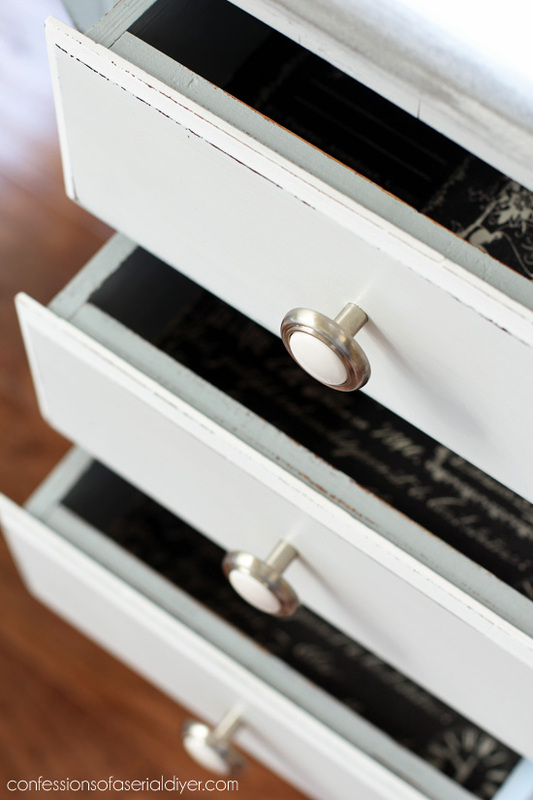 The knobs were left over from the $5 Yard Sale Crab Dresser that I removed two drawers from. They worked perfectly! 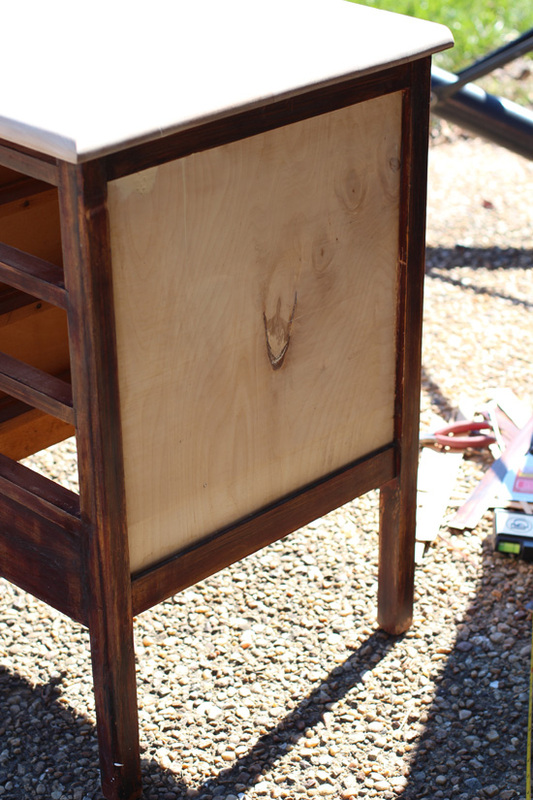 I filled in a couple of areas with wood filler and just painted the side. 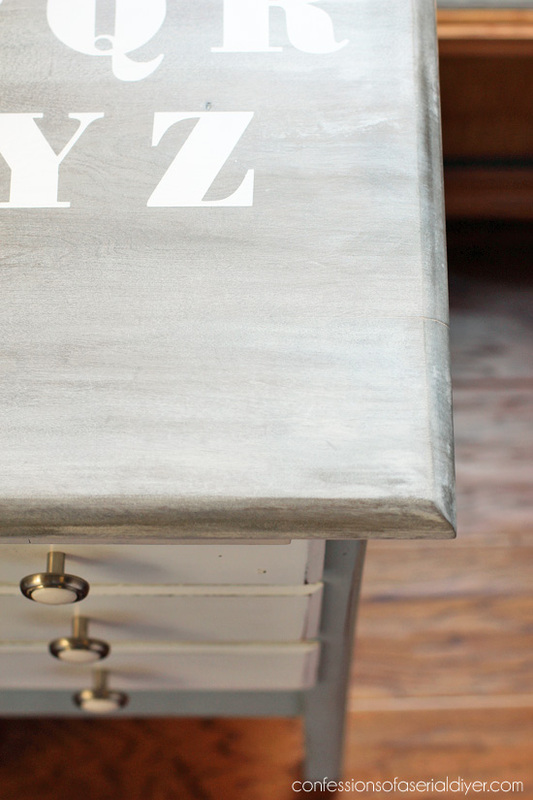 The sides of the drawers were covered in crayon, so they got painted as well. This little set came a long way! My friends have their own makeovers to share today too! Check them out at the links below! 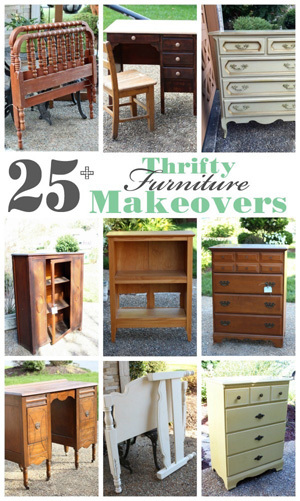 Want even more awesome makeovers?? 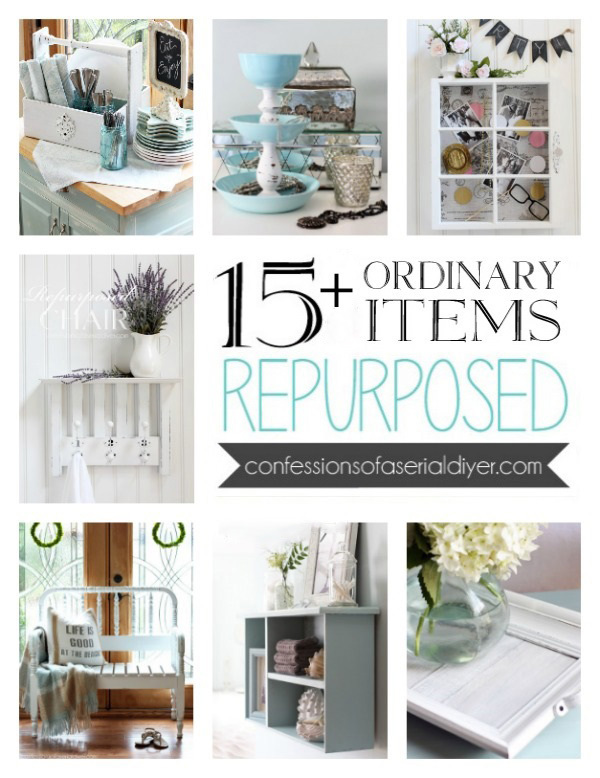 You can visit all of my Trash-to-Treasure posts from this series HERE. UPDATE! No need to wait, it’s available now HERE! Woot! 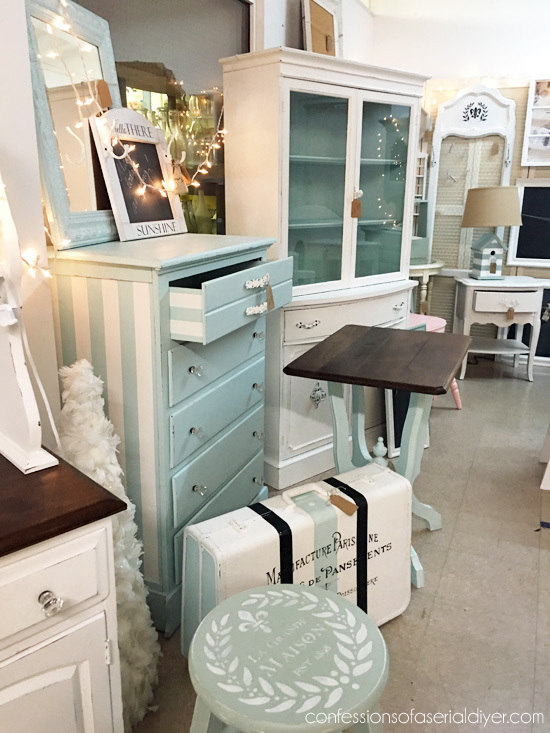 That is a completely adorable set, Christy, and you can’t beat the price! 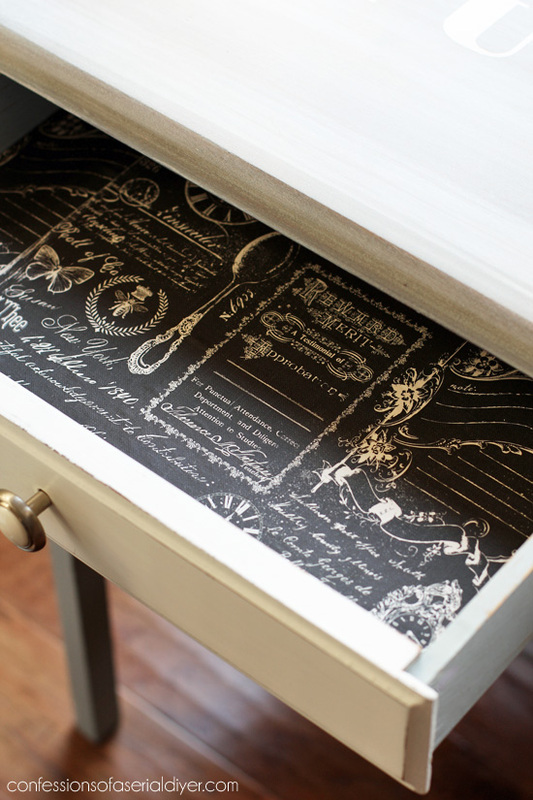 Love the washed look and that old-school stenciling. Bravo! The little desk set is just perfect for some lucky child. It is so adorable. 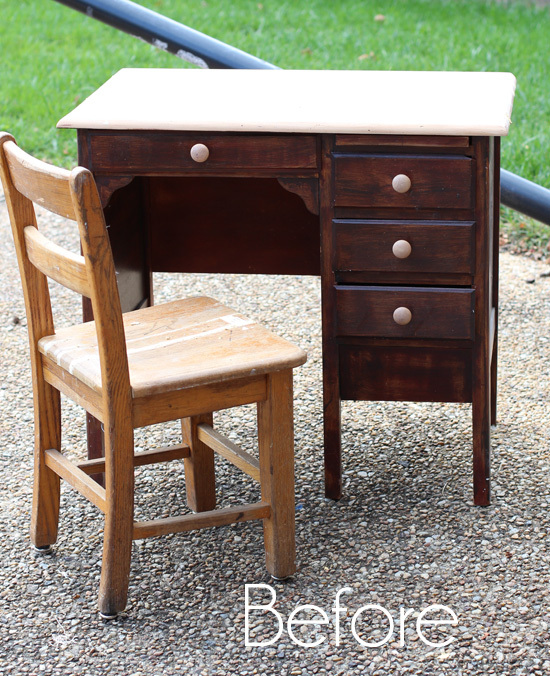 It looks wonderful after its makeover and its the perfect desk for a young child’s room. I like how you added the alphabet to the top. That’s a nice touch. 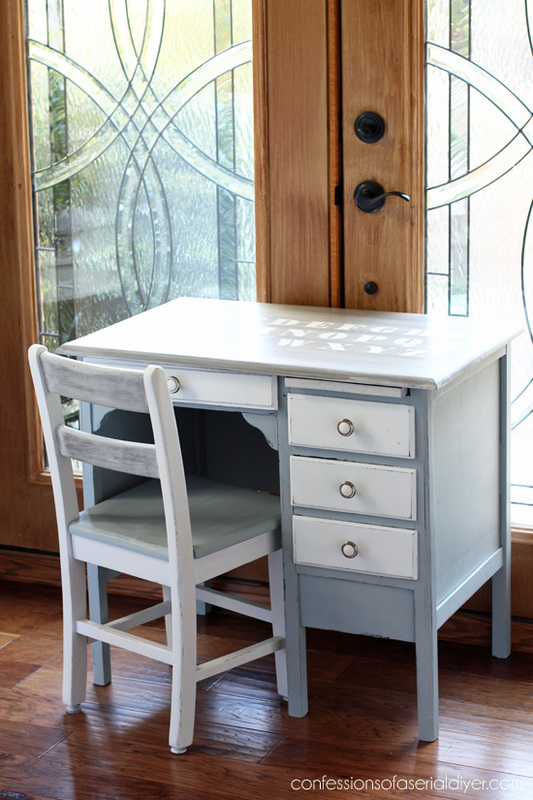 This child’s desk is so cute and elegant at the same time! 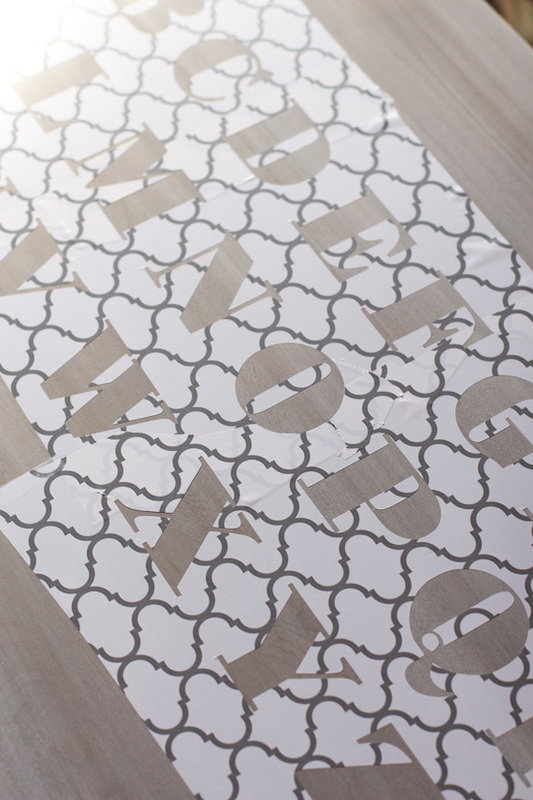 How do you get the stencil to look so perfect? I have problems with bleeding through. 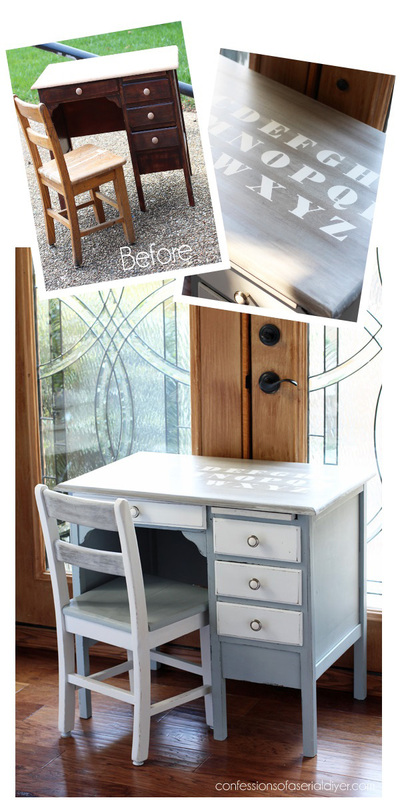 What an update for that sad little desk and chair! 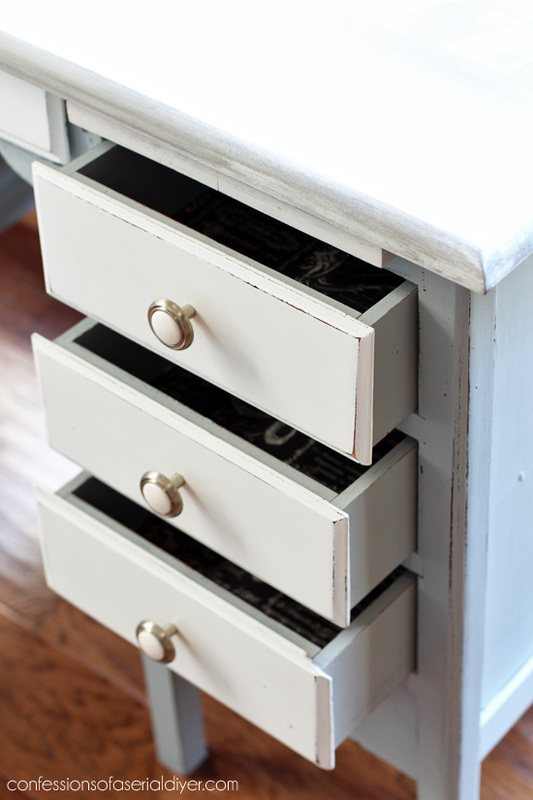 I love the new look with the driftwood stain and whitewash. 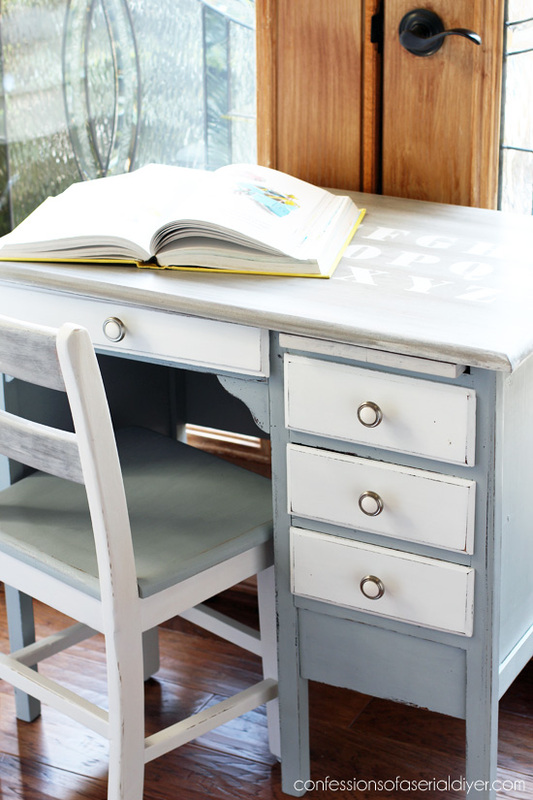 Some child will be thrilled to get this desk, I know it! Made for each other! That’s some stash you have, Christy. While I admire the paint job and all the work you put into it, I adore the little pull-out on the right. Such a sweet set, it’s going to fly out of the shop. What a cute little desk set. Some kiddo is really going to love drawing at that table. 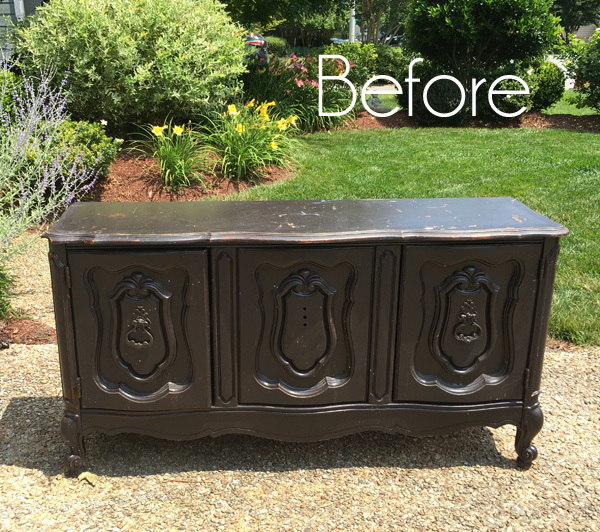 Another sweet makeover, Christy! 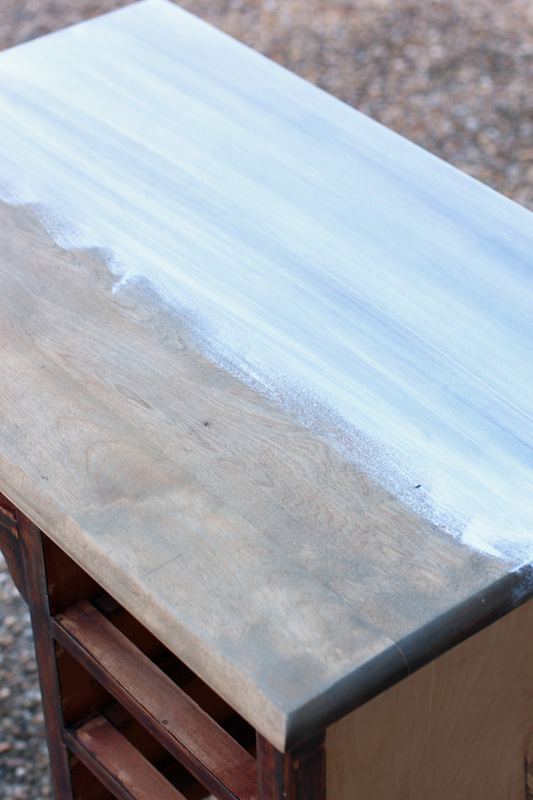 Love the driftwood finish from that powder as well as the look after applying the white. Must remember this technique! 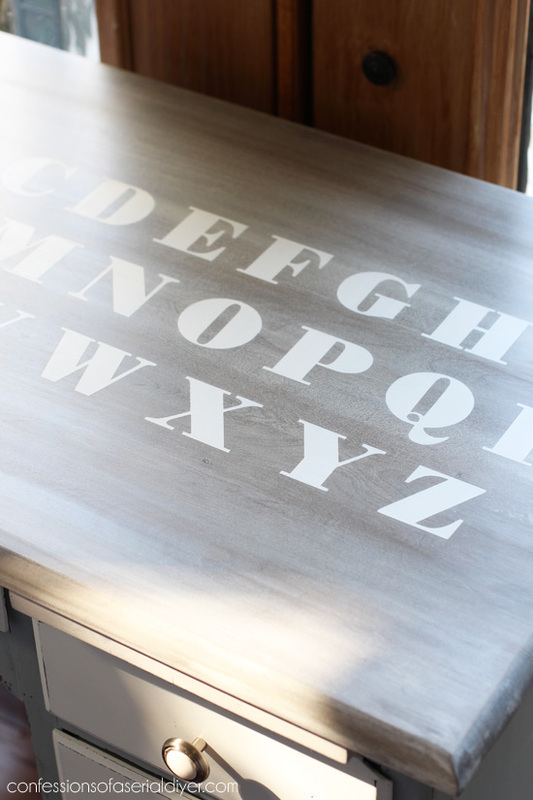 Adding the alphabet to the top was a clever idea and looks so good. Another piece that will probably sell quickly in your booth. 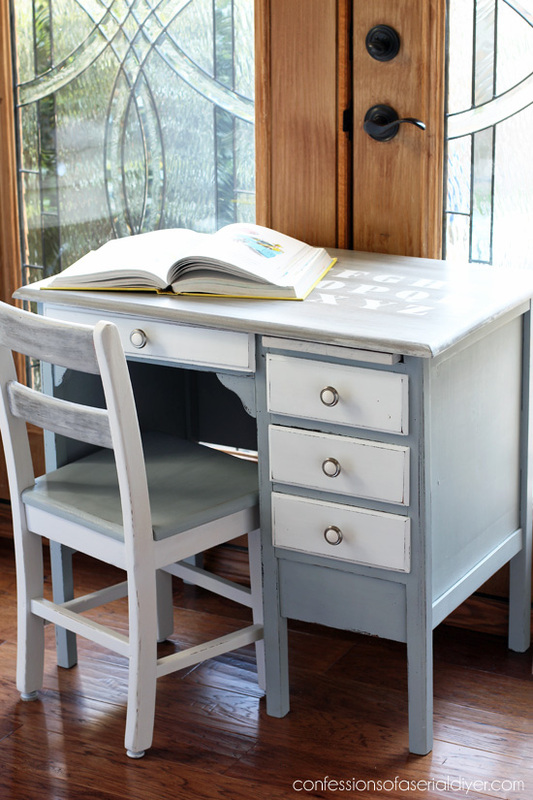 The job you did is so nice on this desk and chair, they invite a wee one to come sit, draw, read and dream! I love it! Your tips and directions are always so good! My pins of your pieces is my how-to sourcebook. Thanks for your generosity and honesty! Girl, I hope you never get tired of doing your thing…..your inspiration would be sorely missed!! 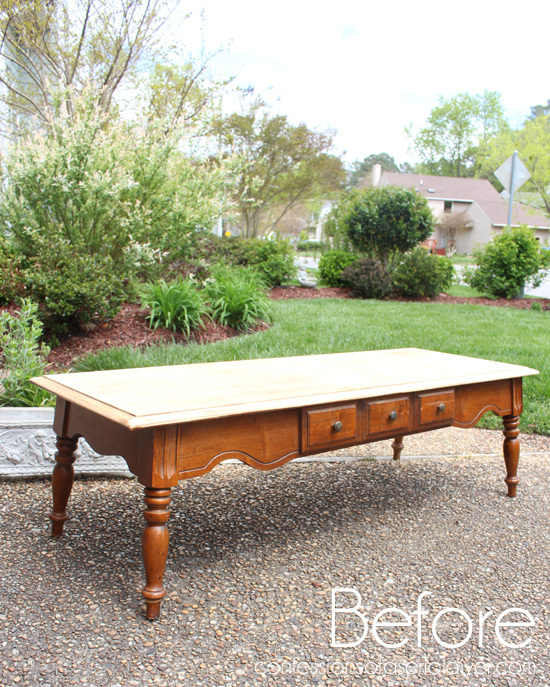 When I look at some of the “Before” pieces, I say to myself, “What’s she gonna do with THAT?” Then I click and marvel at your creative insight, then start my search for something similar! 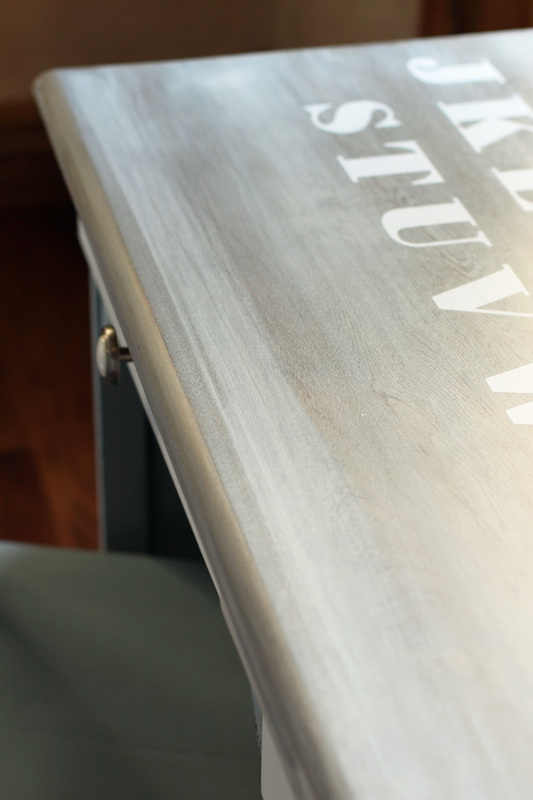 Great work on the desk! I just passed one up at a yard sale this weekend. Kicking myself!